I am so happy to share about my exhibition "Akullore" ( Ice Cream) coming up in Tirana, Albania. I will be showing all my new collages made this year. I am working on a new piece and I would like to share some images with you. I just want to share something I am having a lot of fun making it! I have made my own recycled paper and now I am doing some fun experiments with weaving. This weavings are going to be part of a new installation I am working on. Exhibition at the Center for culture in gostivar, in Macedonia. Yesterday was the opening of the group exhibition I am participating at the Center for culture in gostivar, in Macedonia, with other great international artists. The exhibition is being organized by the Association for Art and Culture SILINDART and the Cultural Association OTHELLO and it´s being Supported by the Ministry of Culture of the Republic of Macedonia. . The show will be on until October 19th. I am so exited to share about the International Art Symposium that I will be participating in Macedonia. I am super happy to announce my participation at the Dakar Art Biennale, in Senegal. My work will be shown at the Showroom Falia with other amazing artists! I would like to share 3 new artworks that I have made in this last weeks. They are all a mix of paintings, drawings and collages of different materials. Papers, canvas, pen, crayon, acrylic paint and ink on paper. Papers, aluminum, pencil, water color, glitter and ink on paper. 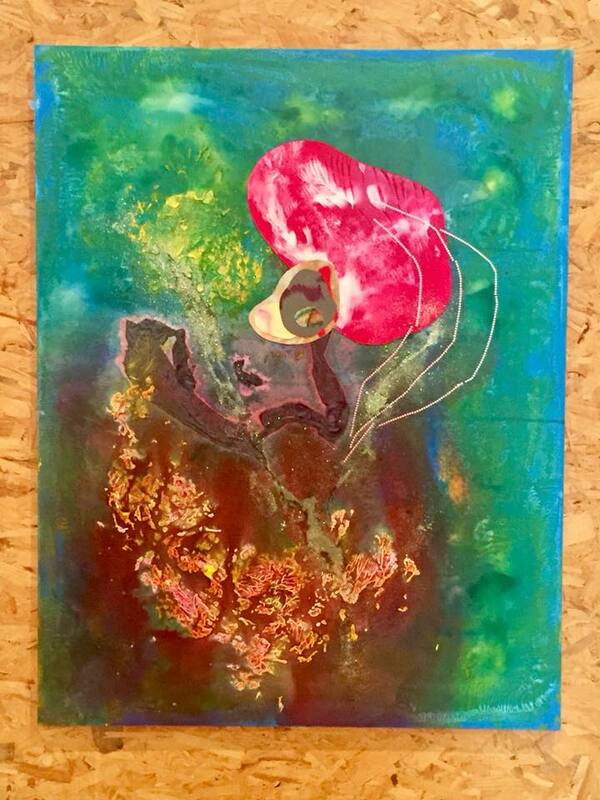 Papers, canvas, glitter, pencil, watercolor, crayon, plastic, acrylic paint and ink on paper. 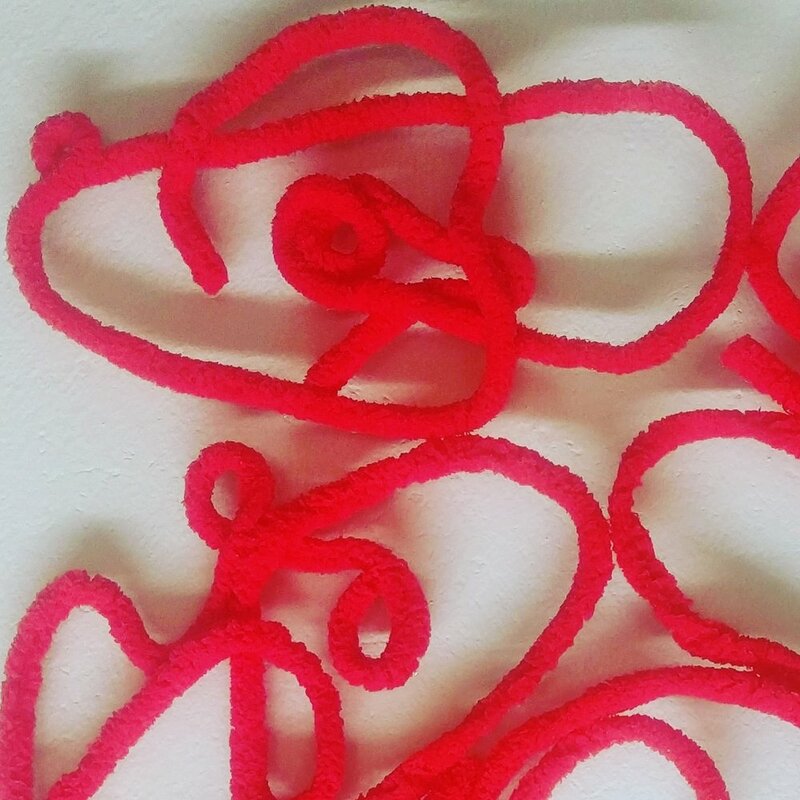 Details from the installation I will be showing at Voodoo55 art space in Berlin this next Saturday. I am so happy to share about my next group exhibition and also my first show in Berlin! I will be showing an installation work, if you are in Berlin, please come check it out! Playing around with Weaving and collage! 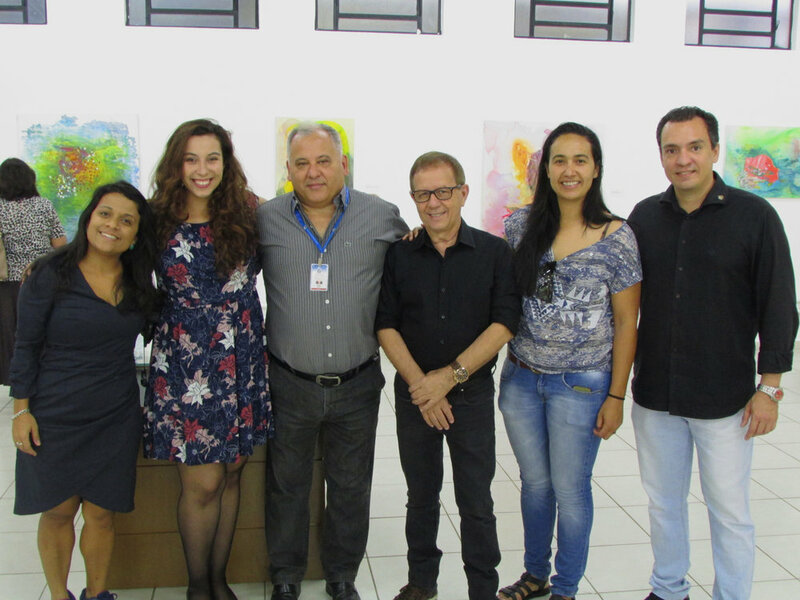 Muito obrigada a todos que vieram na abertura da minha exposição Perfume, com curadoria de Luiza Barbosa, no Museu Histórico Pedagógico Major José Levy Sobrinho. Foi muito especial para mim!! 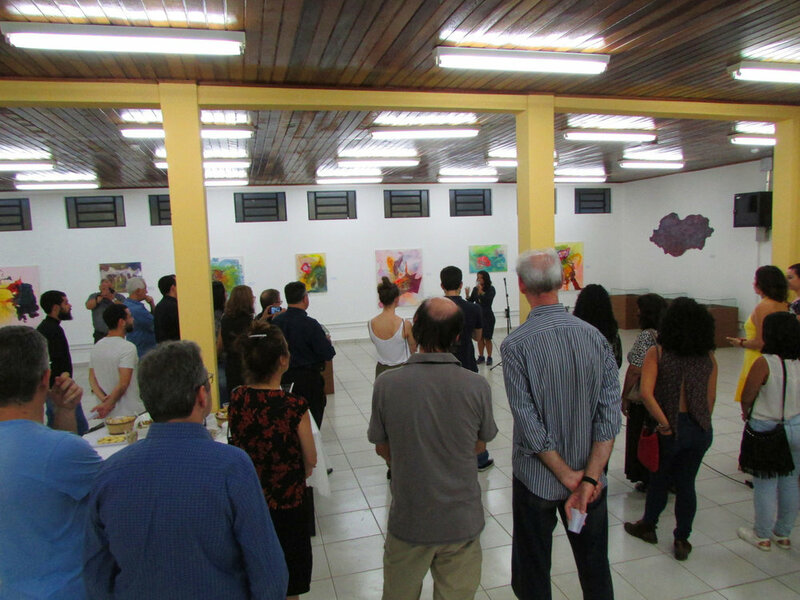 Thank you so much to everyone who came to the opening of my exhibition, Perfume, curated by Luiza Barbosa, at the Brazilian Art Museum “Histórico Pedagógico Major José Levy Sobrinho”. It was very special for me !! A abertura da exposição Perfume, no Museu José L. Sobrinho em Limeira, será em poucos dias! I am very happy to announce my solo show, Perfume, curated by Luiza Barbosa at the Museum “Histórico Pedagógico Major José Levy Sobrinho” at Limeira city in Brazil. The opening will be on Sunday, october 1th, at 5pm. Gostaria de convidar todos vocês para a abertura da minha exposição, Perfume, com curadoria de Luiza Barbosa, no Museu Histórico Pedagógico Major José Levy Sobrinho na cidade de Limeira. A abertura será no Domingo, dia 1 de outubro, as 5pm. Espero ver vocês por lá! My Dear friends, I am very happy to share that I am participating in this beautiful group exhibition in Tübingen, Germany, organized by the Eleven Artspace. I am showing my work with other 20 International Artists. The show has started and will go on until the end of August. If you are in Germany, you are invited to come see our work!! Queridos amigos, é com muita honra que compartilho minha participação nessa bela exposição com outros 20 artistas internacionais, na Alemanha em Tübingen. A exposição, organizada pelo Eleven Artspace, já começou e vai até o final de Agosto. Se você estiver na Alemanha, está convidado a prestigiar nosso trabalho!